wireless high-frequency RF module, using hopping skill, and has 128 Channel. It is effective to avoid interference, and easy to set and equip. 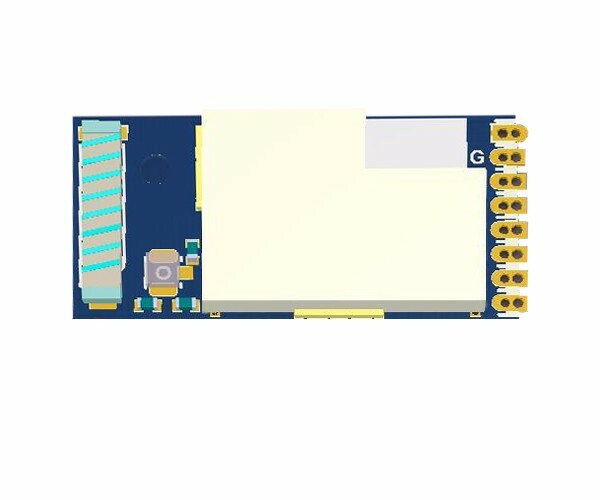 Output power reaches 6dbm, built-in antenna, support battery detection, sleep mode 1uA, Multi-transceiver, independent 3 sets TX/RX FIFO, and has multipoint receive and transmit ability. Able to deep sleep 1uA and waken by COM. Voltage detection. Able to detect external voltage input for battery application.5.Use multiple GIPO, can be specified by customers.